Investing in French for preschoolers is a wonderful way to throw open the doors of opportunity for your child. Studies show that learning a foreign language often leads to a greater understanding of one's native language, and this holds true even if the children are quite young. In fact, these studies also show that children who fluently speak, and understand, more than one language also tend to do better in school. Children that learn French also tend to have an expanded world view, and this is particularly important because it usually leads to greater cultural appreciation and cultural sensitivity. In a global world, the need for these skills have increased tenfold. Speaking of the global market, fluency in two languages can give children a competitive edge, particularly when one joins this global workforce. 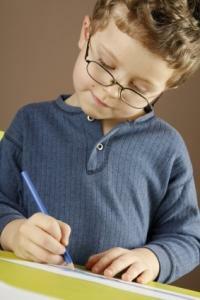 Imagine how the seemingly benign skills a tyke learns today will pay dividends in the future. If you are worried that a foreign language might overload a preschooler's brain--don't be. First, most children are intensely curious, and at this young age, have brains that are prewired to actively "soak up" information. Secondly, if taught well by competent professionals, the entire experience of learning will be fun, something that children respond very well to. Finally, if your child comes to you with any complaints (i.e. the process is no longer fun, it's too hard, etc.) tell them you understand and pull the plug on the entire thing. This way, your child feels secure in knowing that he or she is your number one priority, not their foreign language skills. Bright Hub Education offers simple lesson plans to teach preschoolers basic words in French which they might use everyday. Lists include French words for various greetings, names of family members, days of the week, numbers, colors and more. Berlitz: Berlitz has over one hundred and thirty years of experience in the languages field. Building upon this experience is their relatively new language section devoted to children and teenagers. When it comes to teaching young children French, it may be best to inquire about their Day Care and Summer Camp. Language Tree: As one might imagine, a school like Berlitz while highly informative, may fall just slightly outside of the budget for some. If this is the case, consider giving the gift of language to your children via technology. With the Language Tree, you'll find DVD instruction that is age appropriate and budget friendly. Private instruction, or tutoring, may also be another viable option, and it doesn't have to be expensive either. To keep costs down, consider hiring a student that speaks French and is enrolled in a teacher certification program. Understandably, many college age students are in need of employment, and may consider this a wonderful opportunity to not only try out the teaching methods they are learning in school, but to add some experience to their resumes. Further, you may also want to consider purchasing instructional DVD's and workbooks that the tutor and your child can use together during their sessions. You can find age appropriate French books at The Reading Tub, and some French workbooks at Amazon. When it comes to French for preschoolers, parents have a few different options. You can enroll your child or children into a pre-set, established course, or you can go the route of hiring a private tutor. The choice really depends on one's budget, and your child's needs. No matter which path you take, remember that you know your child best and are most equipped to make that decision. Listen to what seems to make your child most excited, and choose from there. Let the learning begin!